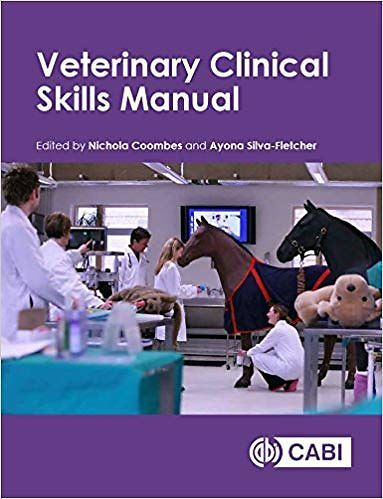 Down-to-earth and intensely practical, this book and video package provides step-by-step guidance on the essential clinical skills required by veterinary students before they face clinical situations encountered in the real world of the busy veterinary professional. - Contains step by step illustrations and photographs, complemented by videos of clinical procedures which can be viewed on your desktop, smartphone or tablet. - Covers the essential key skills that veterinary students need to know. - Details a whole range of techniques, from surgical, anaesthesia and laboratory through to everyday essential and diagnostic skills, in both farm and companion animals. - Describes in-depth the use of simulators in learning key skills. - Provides advice on preparing for OSCEs and practical exams. This book is the go-to manual for an essential grounding in key veterinary clinical skills for all students and educators of veterinary medicine and animal husbandry.